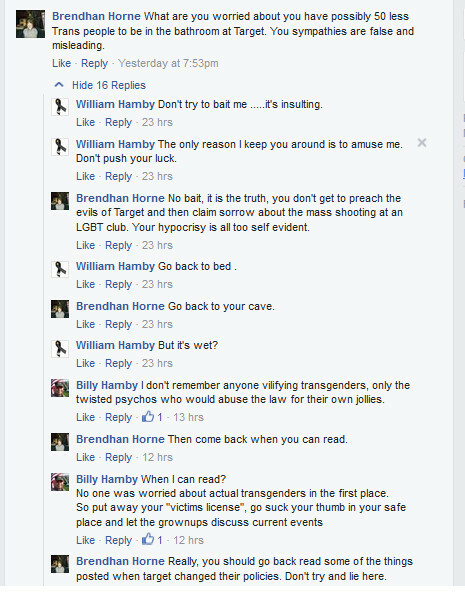 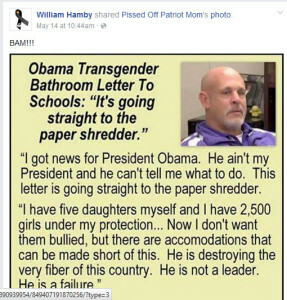 So let me introduce you to the loser that is one William Hamby and his other relative Billy Hamby. 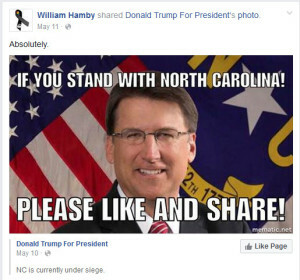 There is the possibility that these two are bothers, and both basically having the same first name goes to call into question some of the basic mentality already. 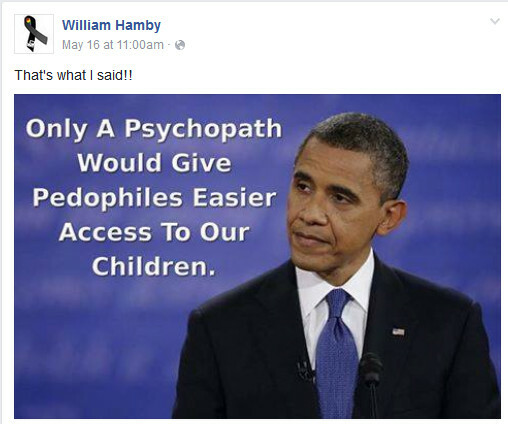 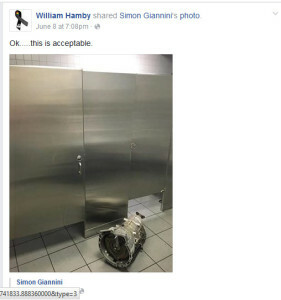 William Hamby is a hypocritical self righteous bigot Trump supporter who lies to everyone including himself and if he doesn’t get his way Billy will jump in every now and then to make sure you have no doubt that stupidity is genetic. 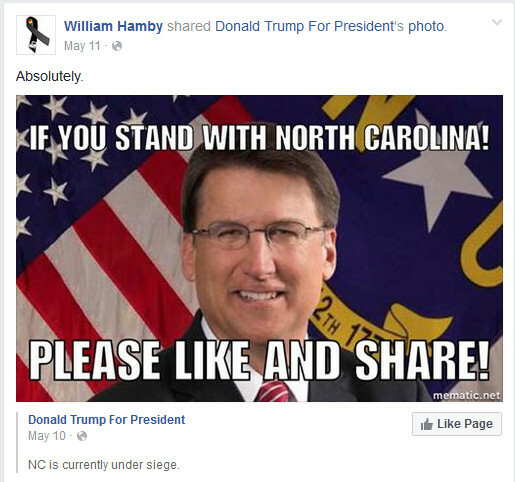 So let’s show some of the things he has posted. 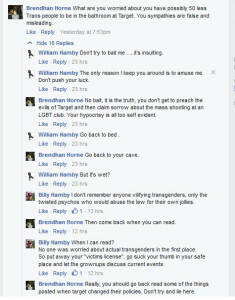 So yeah, these are some pretty clear examples of bigotry and hatred here.